This entry was posted in Uncategorized and tagged Accretionary Wedge #54, beer, cocktails, geology, science by glacialtill. Bookmark the permalink. Thanks for the contribution Anne! I’ll be sure to add it to the post. I’d like to very belatedly submit my 2012 post on Icky IPA, although it isn’t anything I personally concocted! No worries about it not being concocted! We were mostly aiming for geology themed drinks and I’ve been happy with all the submissions so far. OMG, sorry I missed this one. I have been collecting beer cans since 1974 and have tried thousands of different American brands from then until now. There are several geology-themed cans that I had in my collection before I had to downsize it. If you would allow me, I will throw something together on my blog. I’ll gladly add it to the Wedge! After you finish the post leave a comment with a link and I’ll add it to Wedge. As mentioned, my beer can collection topped-out at 5,000+ U.S. cans in the mid-1990s, until I had to start selling it off to pay bills, etc.. Now I have a couple of hundred left, but only have room for a few dozen favorites. In our local beer can club (a chapter of the Brewery Collectibles Club of America), we have 3 Geologists (including myself), 1 Meteorologist, and 1 Forester. For those interested – in the post – I have a photo of my favorite can, a Rolling Rock cone top, from the early 1950s. I began my collection in 1974 when I found a 7 oz. aluminum Rolling Rock can. I have a few other can photos, as well. 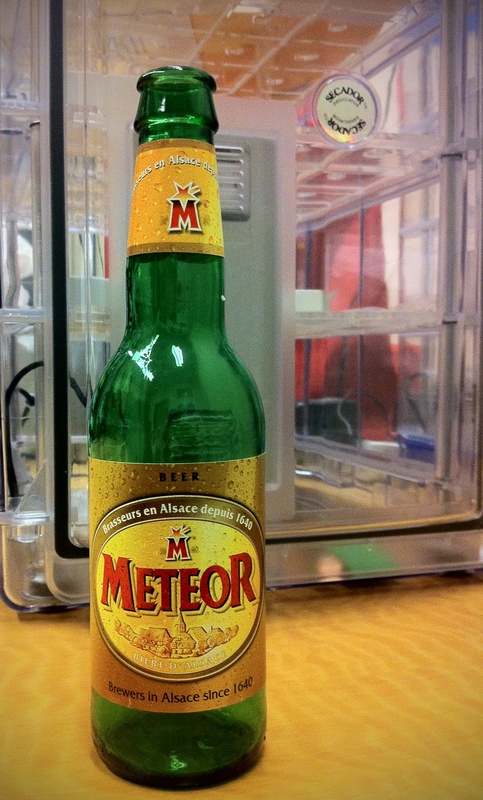 Hey, for what it is worth, I saw some Meteor Beer today in a northern suburb of Atlanta in a growler shop. Let me know if you want to work out a trade for a full bottle. When whiskey one the rocks isn’t geologically themed or literal for you, try whiskey stones.